Here are some of my FREE products! Back to School Alphabet and Counting to 20 Literacy & Math Center FREEBIE! Divide players into 2 teams. Each team has a token/game piece. Place footballs face down on designated spot on game board. First player picks one football. 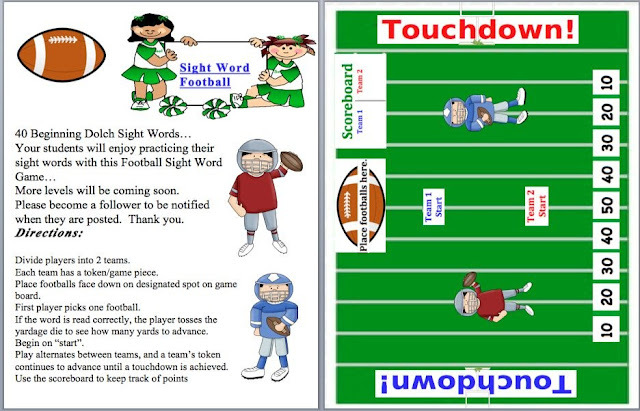 If the word is read correctly, the player tosses the yardage die to see how many yards to advance. 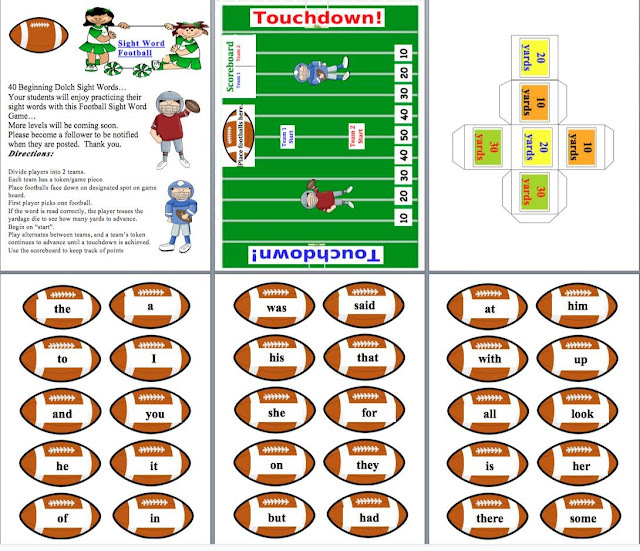 Play alternates between teams, and a team’s token continues to advance until a touchdown is achieved. 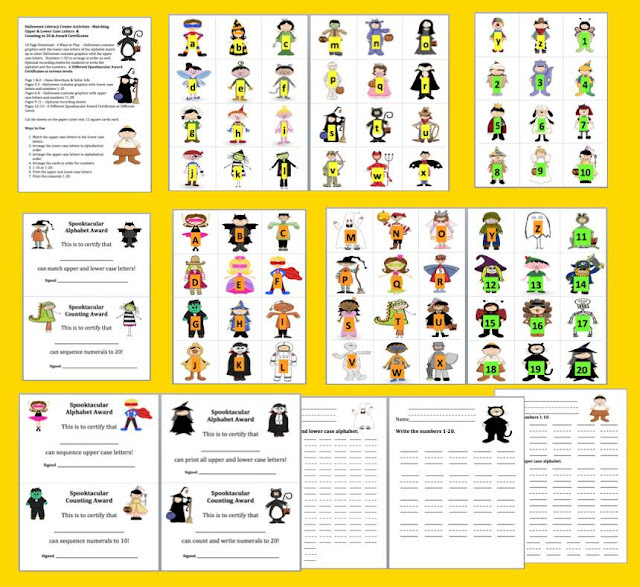 Halloween costume graphics with the lower case letters of the alphabet match up to other Halloween costume graphics with the upper case letters. 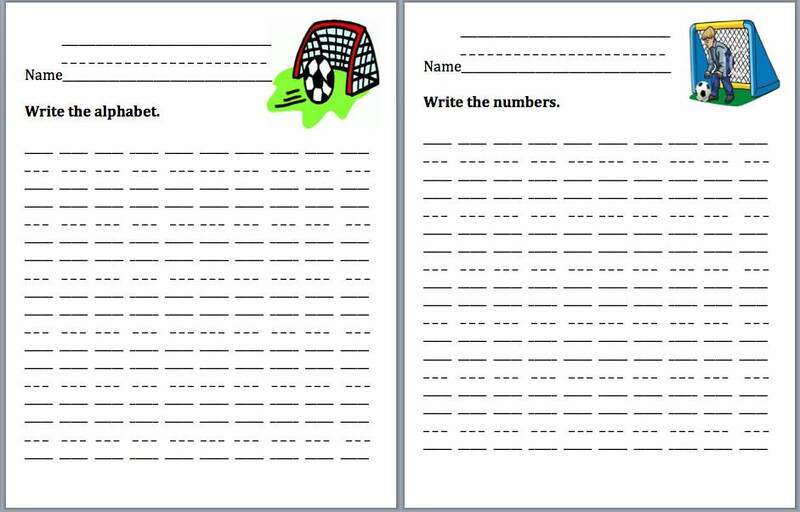 Numbers 1-20 to arrange in order as well. 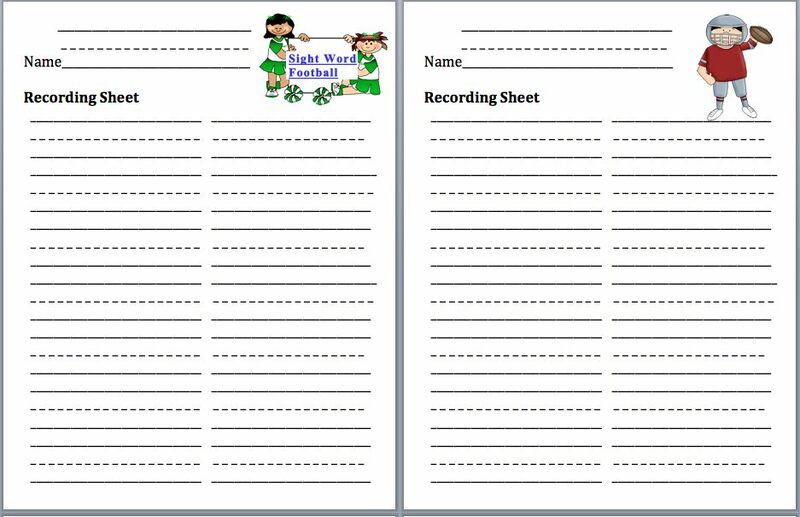 Optional recording sheets for students to write the alphabet and the numbers. 6 Different Spooktacular Award Certificates at various levels. 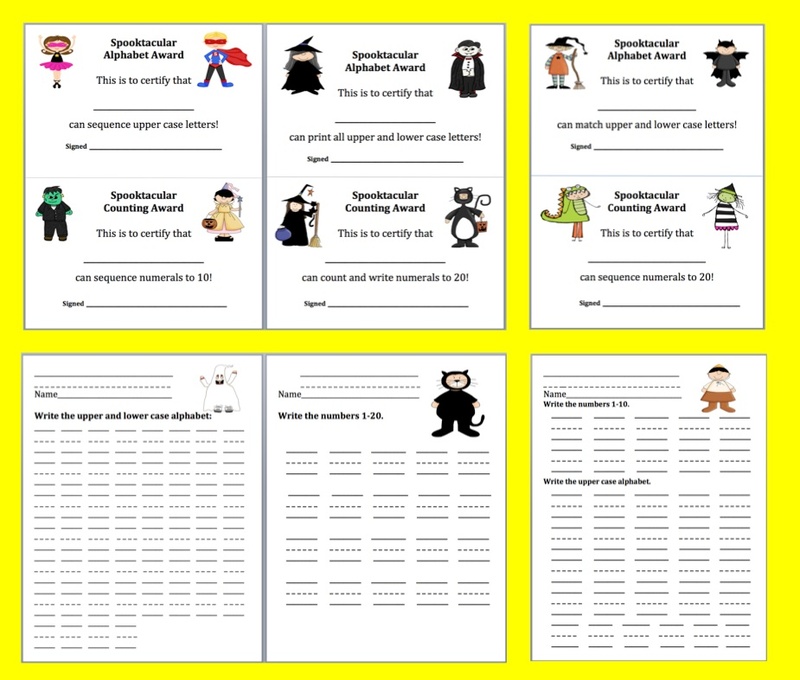 Cut the sheets on the paper cutter into 12 square cards each. 1. Match the upper case letters to the lower case letters. 2. Arrange the lower case letters in alphabetical order. 3. Arrange the upper case letters in alphabetical order. 6. 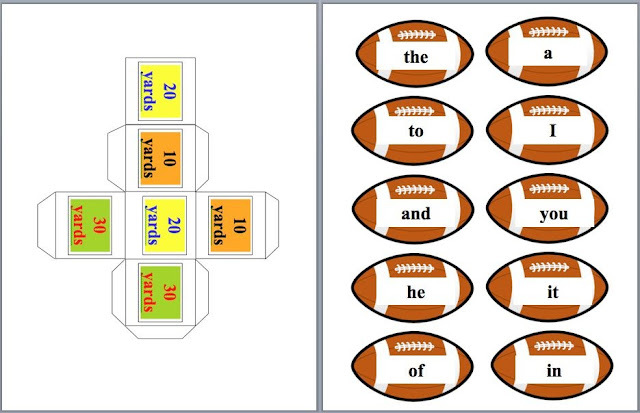 Print the upper and lower case letters. 7. Print the numerals 1-20. 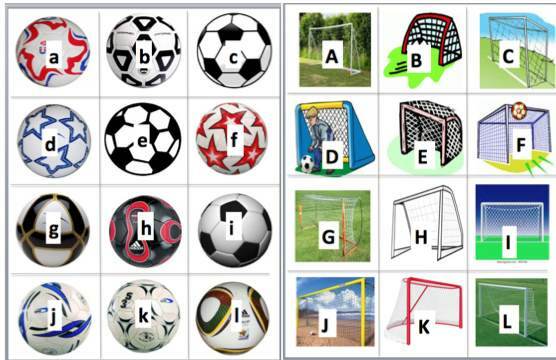 Alphabet and Counting: Soccer ABC & 123 Match! 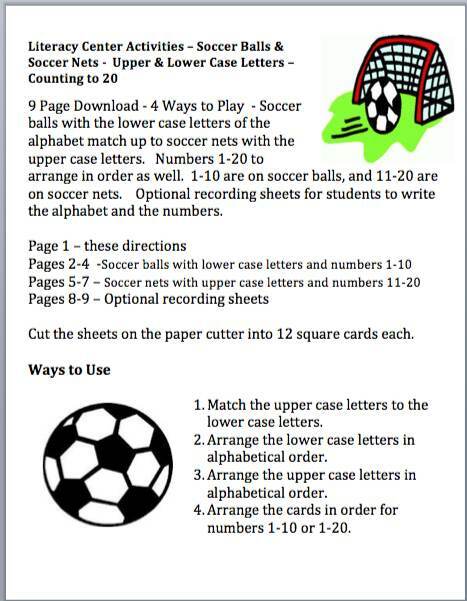 Alphabet - Counting - Literacy and Math Centers - 9 Pages - Soccer Balls and Soccer Nets - Upper and Lower Case Letters - Counting to 20 - 4 Ways to Play - Soccer balls with the lower case letters of the alphabet match up to soccer nets with the upper case letters. Numbers 1-20 to arrange in order as well. 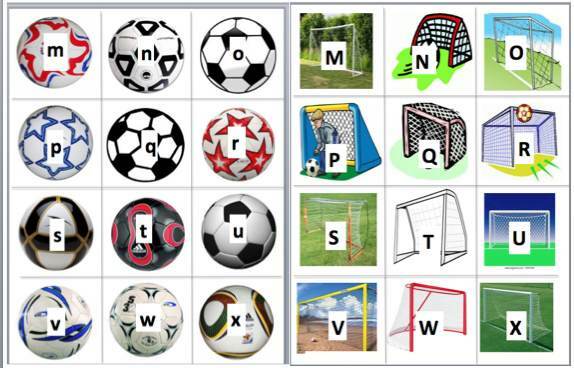 1-10 are on soccer balls, and 11-20 are on soccer nets. 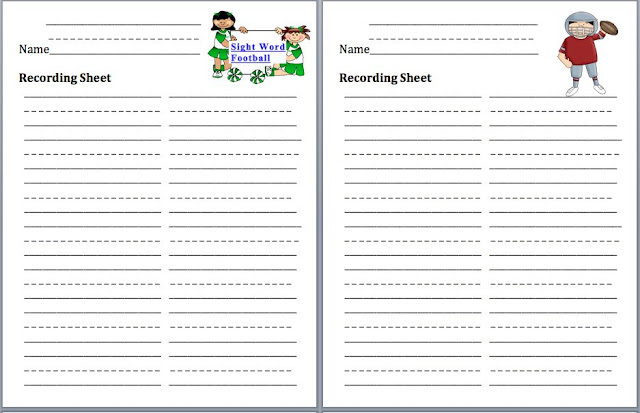 Optional recording sheets for students to write the alphabet and the numbers. 4. Arrange the cards in order for numbers 1-10 or 1-20. THANK YOU VERY MUCH MY KIDS <3 IT!!! 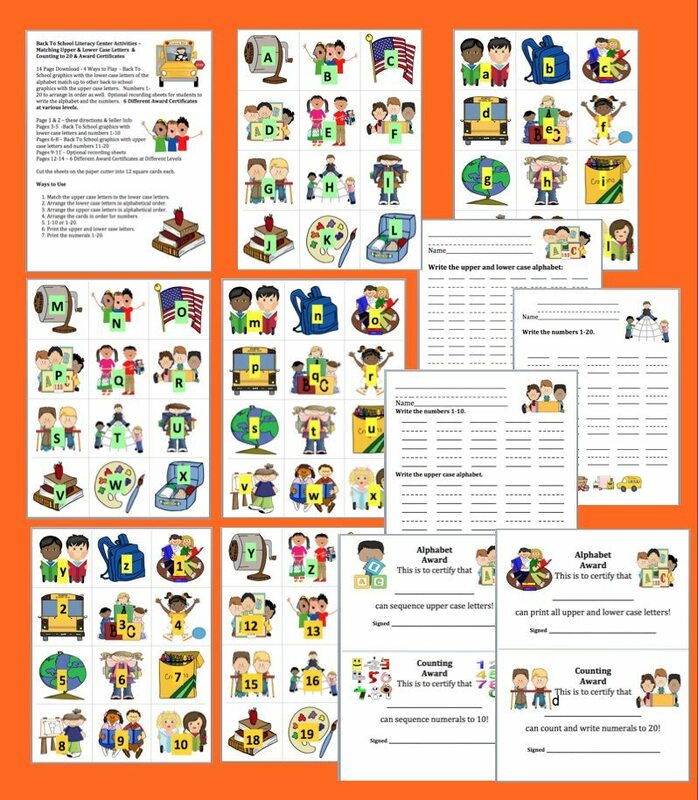 So glad your students are enjoying the FREEBIES! Take care.. I have been homeschooling my grandchildren (4th, 5th, & 7th grades) because they move around a lot because their Daddy is in the Army. This year I will be working with a Kindergartener. Your blog and store are a real Godsend. I taught 6th grade for 30 years, but I have no idea how to teach little ones. Your store will be a great help. God Bless you for your generosity.